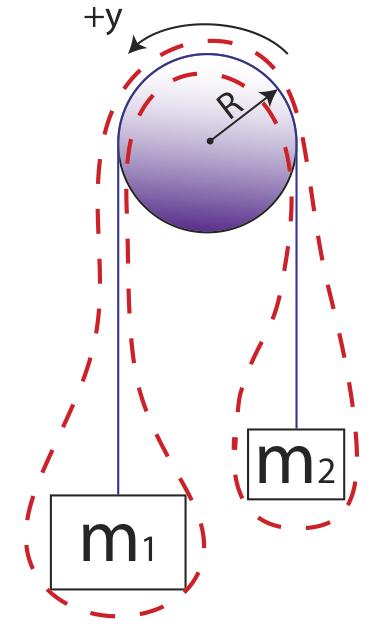 An Atwood Machine is a basic physics laboratory device often used to demonstrate basic principles of dynamics and acceleration. The machine typically involves a pulley, a string, and a system of masses. Keys to solving Atwood Machine problems are recognizing that the force transmitted by a string or rope, known as tension, is constant throughout the string, and choosing a consistent direction as positive. Let’s walk through an example to demonstrate. 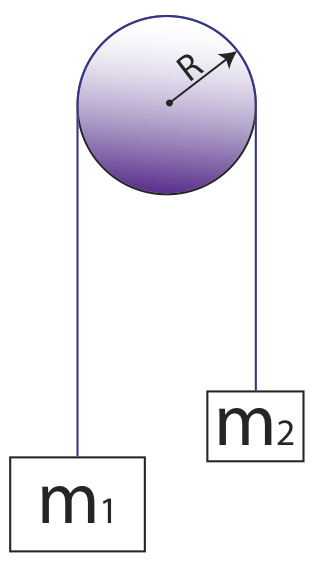 Question: Two masses, m1 and m2, are hanging by a massless string from a frictionless pulley. 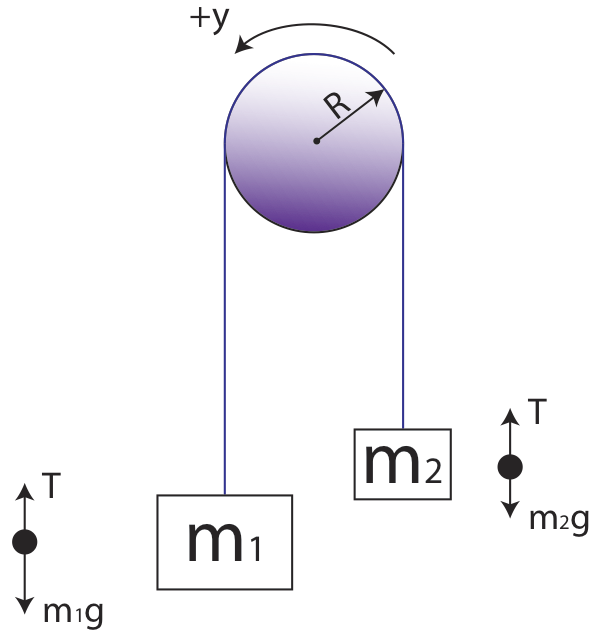 If m1 is greater than m2, determine the acceleration of the two masses when released from rest. Next, combine the equations and eliminate T by solving for T in equation (2) and substituting in for T in equation (1). Finally, solve for the acceleration of the system. Alternately, you could treat both masses as part of the same system. Drawing a dashed line around the system, you can directly write an appropriate Newton’s 2nd Law equation for the entire system. Note that if the string and pulley were not massless, this problem would become considerably more involved.